A football player in the prime of his life is found dead from an apparent drug overdose. Was it an accident, suicide, or something more sinister? Detective Charlie Cooper is struggling just to keep awake after some upheaval on the home front. But life is busy for everyone, and Cooper is intrigued from the start with this baffling case. Jimmy Dallas was a rising star with everything to live for – would he really have stuck a needle in his arm the week before the biggest match of his career? Joel Maguire for one does not believe his best mate would have knowingly injected himself with anything. Reeling from the shock loss, and dealing with some issues of his own, the Rangers’ star player struggles to put one foot in front of the other, let alone play finals football. 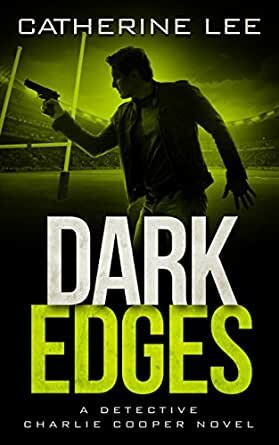 Australian rugby league takes centre stage in the fifth book of Catherine Lee’s page-turning Dark Series. Strap yourself in as Cooper and Quinn tackle the controversial issue of drugs in sport. Jimmy Dallas, an Australian Rugby League football player, is found dead from an apparent drug overdose. The needle is still in his arm. Is it an accidental overdose, murder or suicide? Detective Sergeant Charlie Cooper and his partner Detective Senior Constable Joe Quinn are called in to investigate. Jimmy Dallas was the fullback for the Sydney Rangers team, a star performer in their last match, a win which guaranteed them a place in the finals. No one close to Jimmy thinks he’d use heroin, but everything points to a self-administered overdose. Jimmy’s best friend is fellow Rangers player Joel Maquire. Joel is devastated by Jimmy’s death. Joel’s brother Nate is the team captain. Can the Maguire brothers shed any light on events? As part of their investigation, Cooper and Quinn look at drug use within the Rangers Club. The officials try to assure them that all is fair and above board. ASADA has no adverse results from testing team members, and the team sports scientist Dean Rycroft assures them that the only supplements given to players are vitamins. But Cooper and Quinn are not convinced, and when they find a connection between the heroin used by Jimmy and that supplied by the Chiefs outlaw motorcycle gang, things start to get complicated. This is the fifth novel in Ms Lee’s Dark Series, and it is every bit as gripping as the first four. There are some interesting developments in Charlie Cooper’s personal life which add to the tension as Cooper and Quinn try to work out what happened to Jimmy Dallas. There’s also some friction between different police officers involved in the case. And the ending? There are aspects that I didn’t anticipate, disquieting aspects that have served to keep aspects of this novel in my mind. Note: my thanks to Ms Lee for providing me with a free advance reading copy of this novel for review purposes. I voluntarily reviewed an advance reader copy supplied at no charge by the publisher/author. This is the newest book in Catherine Lee’s Dark series. This starts with footballer Jimmy Dallas injecting himself. He is found dead. Is it suicide or an accidental overdose. His friends say he would never use heroin, but everything points to exactly this. Cooper & Quinn now have the challenge to prove this is a murder. Jimmy’s best friend, Joel Maquire, is one who is sure that Jimmy would not take drugs & finds it hard to accept. Joel’s brother, Nate is the team captain. What does Nate know. The book takes us through the world of a football team playing for a spot in the finals. Have drugs been used in the team? The team sports scientist, Dean Rycroft assures them he has only provided vitamins & all appears to be clean through the stringent drug testing agency ASADA. All Cooper & Quinn have to go on is assumptions & the fact that the heroin used by Jimmy is the same as that supplied by the Chiefs Motor Cycle gang to the streets. Is there an association between Dean Rycroft & the Chefs MC? Congratulations Catherine on another interesting twist. I highly recommend this to all who enjoy a good thriller. In Dark Edges, Catherine Lee delves deeper into the medical accompaniment of sports people. In view of recent scandals of supplements and state sponsored doping this book very much gives you something to think about how athletes are used as guinea pigs and how much say they have about what happens to their own bodies and their own health. Not to forget that the long-term effects of a lot of these products are very much unknown. All of this is the setting of a mystery in which it is not even clear whether our detective duo are dealing with a murder case. 5.0 out of 5 starsAnother excellent addition to this highly readable series! Detective Charlie Cooper and his partner, Detective Joe Quinn headed the investigating team and gradually they came to suspect there was much more to Jimmy’s death than was first thought. Was there an illegal drugs connection with the Rangers team? Secrets, drugs, crime – Cooper and Quinn had a lot on their hands; they needed to find answers fast. But with no solid evidence to back up their claims, the teams’ frustration was high. Could they find the culprits before someone else died? These books are great stories! The lead characters, Coop & Quinn, are who you want to be cops & on your side. They play off each other so well the way it’s written. There’s been more than once that I’ve laughed at their relationship. Can’t wait to find out who the vigilante is!